Hopped off the plane at LAX… And where to now?! None other than West Hollywood and Beverly Hills! The second I arrived in these plush and posh spots, I knew I had achieved my inner celebrity status. 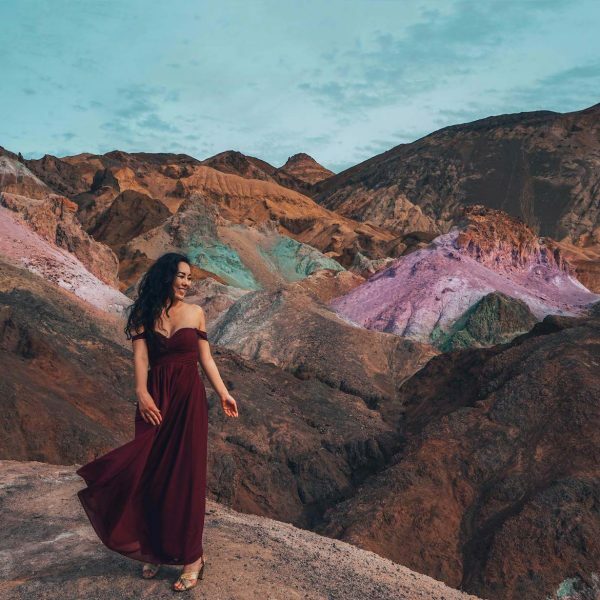 Even more importantly, I realized that these charming Californian destinations would have to be the next on my ladies only getaway bucket list! 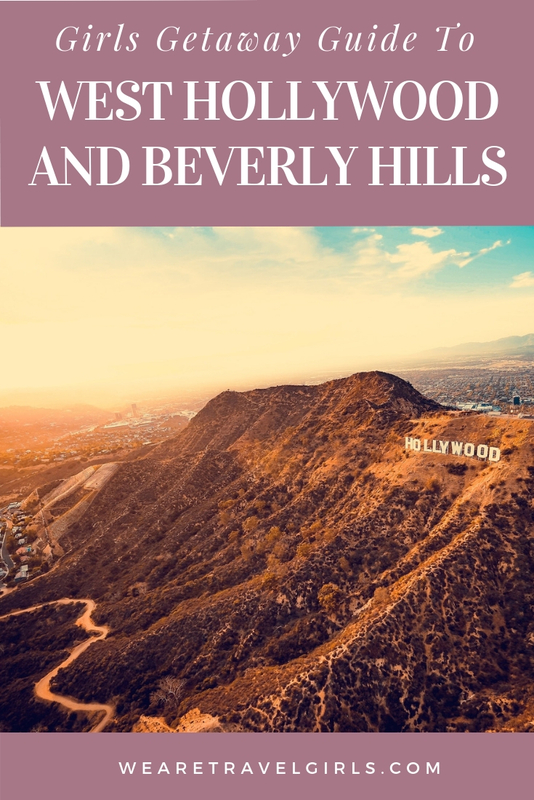 Here are some of my absolute must do’s for a girls getaway weekend to West Hollywood and Beverly Hills, and why it is a perfect destination for the lovely ladies in your life! Escape to a Mediterranean oasis by lodging at Petit Ermitage. Step foot into this boutique hotel, and you will thoroughly be transformed. From the rooftop pool to the butterfly bar, this hotel is a complete luxury experience. I sincerely recommend you and your girls cozy up in one of the poolside cabanas and indulge in a cup of tea. There will be no better feeling (or view) in the world. A little secret: If you are lounging outside and it starts to get chilly, the staff will come around and give you complimentary fluffy blankets to snuggle up in. Stroll along Melrose Avenue and stare in awe at the plethora of artistic wall murals. This was such an exquisite and unique experience. I have never been on a street where almost every wall was a distinct piece of art. These murals offer an inside glimpse into the culture that is West Hollywood. And a bonus? The murals are a fabulous photo backdrop to snap some pics with the girls! Delight in the culinary experience of drinking cereal milk in the form of ice cream at Milk Bar. If you are looking for an out of this world and once in a lifetime ice cream experience, look no further than Milk Bar! With a wide variety of ice cream treats, cookies and cakes to choose from, you (and your stomach) will not be leaving disappointed. 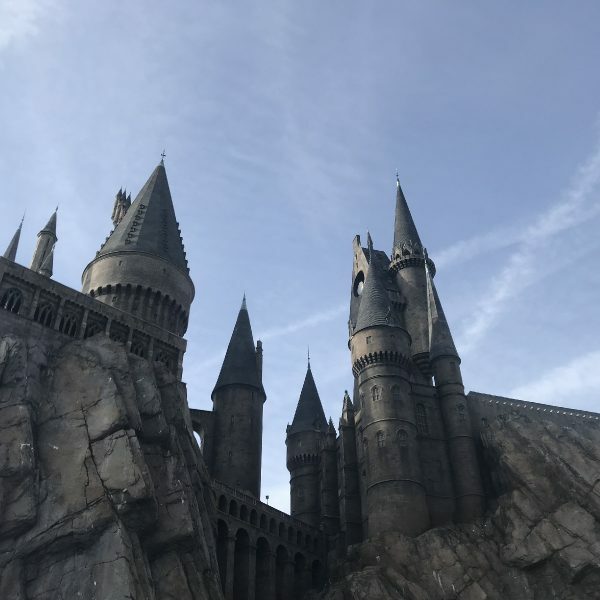 Make sure to check out the side wall of the building for a magical photo opportunity! Say hello to bright pink bricks and a massive mural of confetti cake. 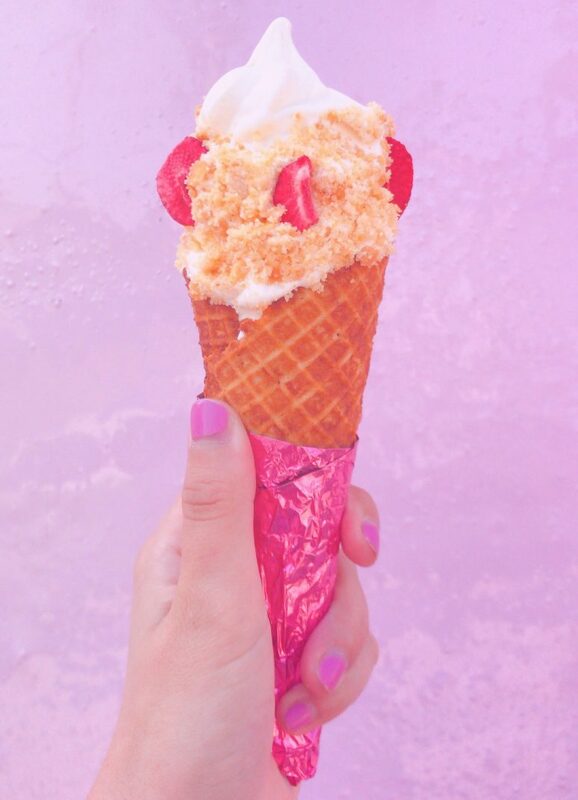 Cheers to a sweet weekend with your girls! Give this a try: The ritzy and glam strawberry delight! It was so unique and like nothing, I have ever tasted before. Yum! Sip on a savory beverage at Alfred Tea Room. This is one of the most well-known tea rooms in West Hollywood, and there is no wondering as to why that is. 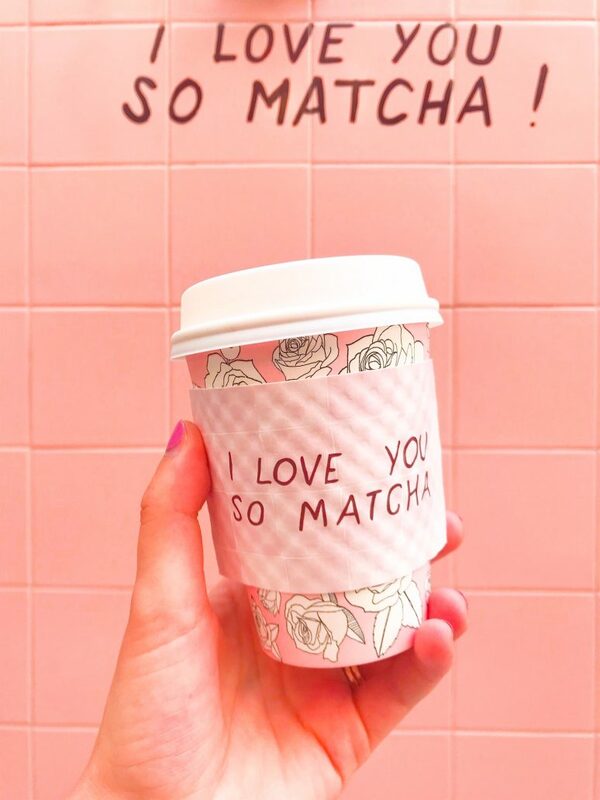 As soon as you step foot into this millennial pink paradise, you will never want to leave. I mean, they even serve pink croissants. How adorable! Here is the perfect place to start off the morning with your lovely ladies. As their motto goes… Tea, yes. You, maybe. What I recommend: Hot cocoa tea. It is the perfect blend of hot chocolate and tea! Treat your taste buds to delightful Mexican cuisine at Gracias Madre. It goes without saying that West Hollywood is known for their trendy food spots. One of my favorites? Gracias Madre. I am a sucker for authentic Mexican fare, and this restaurant did not disappoint. Not only is the food phenomenal, but the atmosphere is upbeat and eclectic. Grab a drink and snack on some chips and guac, under the twinkling lights, while you are enjoying the company of your besties. 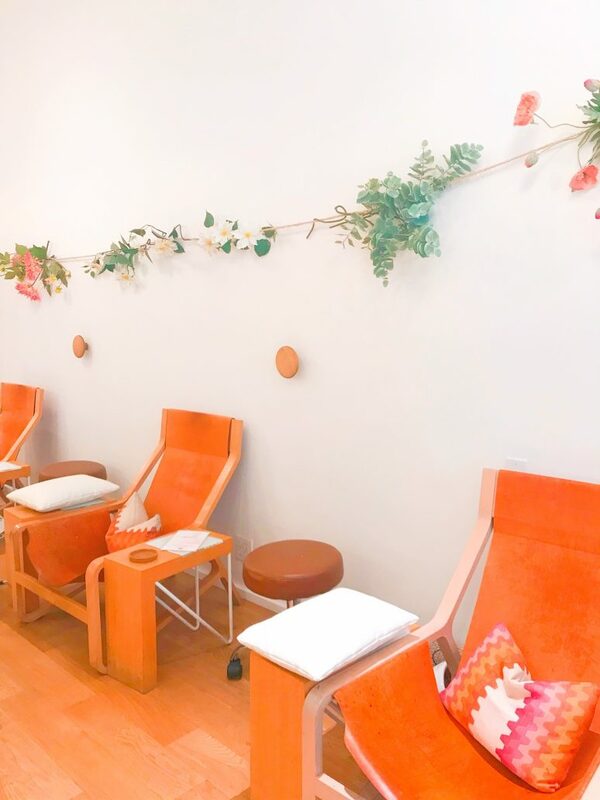 Catch a glimpse of nail Heaven at Olive & June. No girls getaway is complete without a little self-care, right? 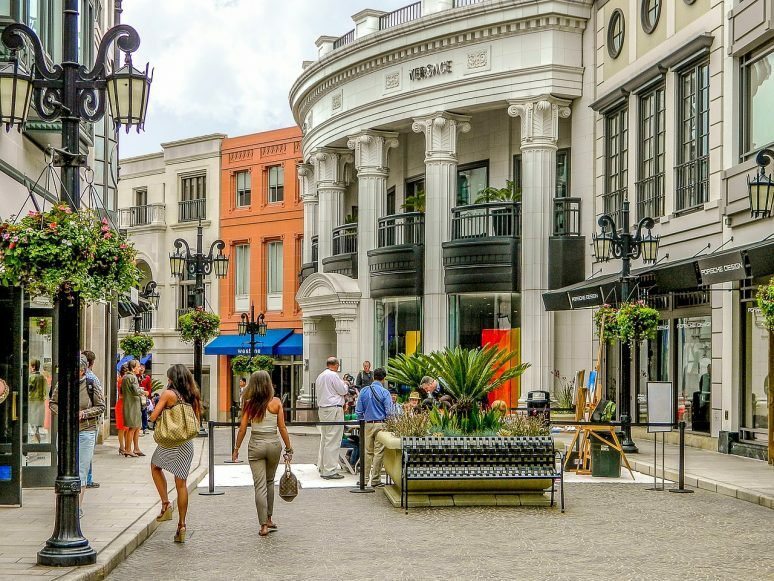 With that being said, you must head on over to Olive & June, situated in the pristine downtown of Beverly Hills. Besides being THE cutest nail salon I have ever seen, they offer a unique array of nail services. Their specialty? Nail art! So, spice things up a little bit and splurge on some nail art! 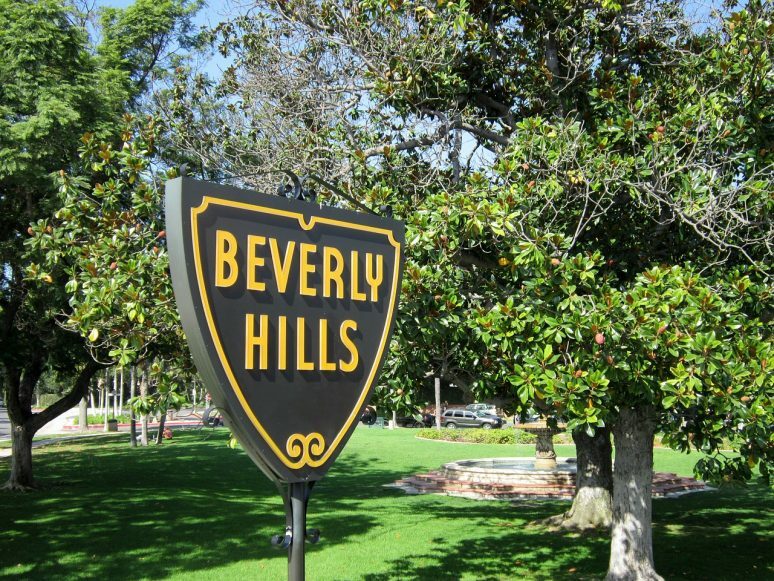 Take a self-guided tour through the glitz and glam of Beverly Hills with a Lime scooter. Okay, so this activity was my absolute favorite and I stumbled upon it completely by accident. When I was walking down Melrose Avenue, I noticed that all these motorized scooters lined the sidewalks. They were not locked up and there was no one tending to them. This ignited my curiosity, and I had to find out more. Long story short, there is an app where you can pay for these scooters and ride all over town with them! When you are done, you just nicely place them on the sidewalk. Lime does a fantastic job clearly outlining what to do in order to “unlock” and use a scooter, and how to be done and “lock” a scooter. I can guarantee that you and your girls will have too much fun riding these babies around Beverly Hills. Safety first: Never drink and scooter! EVER. Editor’s Note: The regulations about scooters are constantly changing and some readers have reported that it is not longer possible to rent scooters in Beverly Hills. Please check the Lime website for the most up to date availability information. Get your sugar fix at Sugarfina. This is my absolute favorite candy store, as everything is so delectable and adorably cute! You can stop in and snag a cute, little box of treats. Or you can put together a custom box of goodies! When I was there, they were celebrating Mickey Mouse’s 90th birthday, and I went home with the cutest Mickey head gummies I ever did see! Immerse yourself in a Parisian cafe at Ladurée. I stumbled upon this gem by surprise and I am so happy I did! Ladurée originally came into existence over in Paris but has since expanded into different locations, like Beverly Hills. As soon as you step into this cafe, you are surrounded by pastel perfection and literal mountains of macarons. One perk I love about Ladurée is that they serve food there too! I had the most delicious Caesar salad that paired so nicely with a tall glass of lemonade. 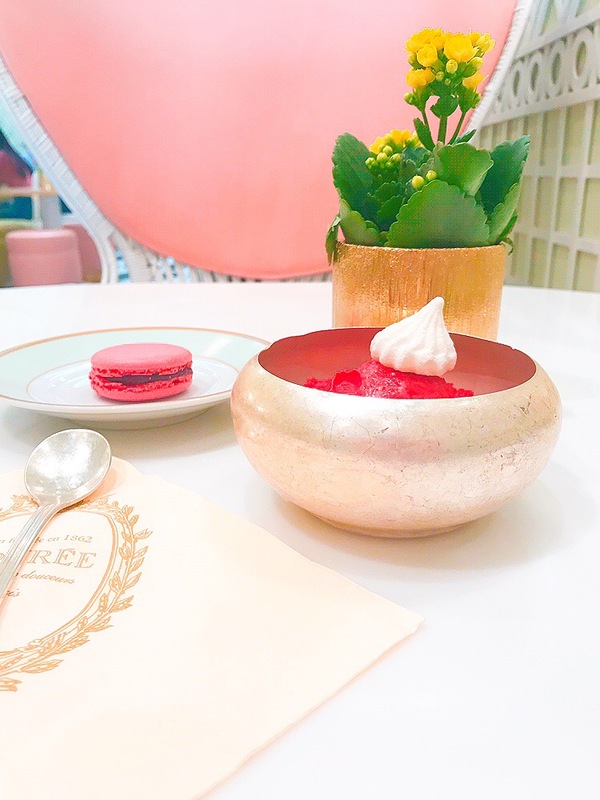 Ladurée is the perfect spot for a charming lunch and treats with the girls. My favorite treats: The raspberry macaron and sorbet. Holy delicious! Find some of the cutest Californian goodies at the beautifully curated Paper Source. I absolutely swoon over boutiques that offer different knick-knacks, especially when I am on vacation. Paper Source, in Beverly Hills, housed so many delightful items, such as pens, cosmetic bags, stationery kits, sleep masks… The list goes on! And each little treat was unique to that California lifestyle. I mean, no girls getaway is complete without a little shopping! 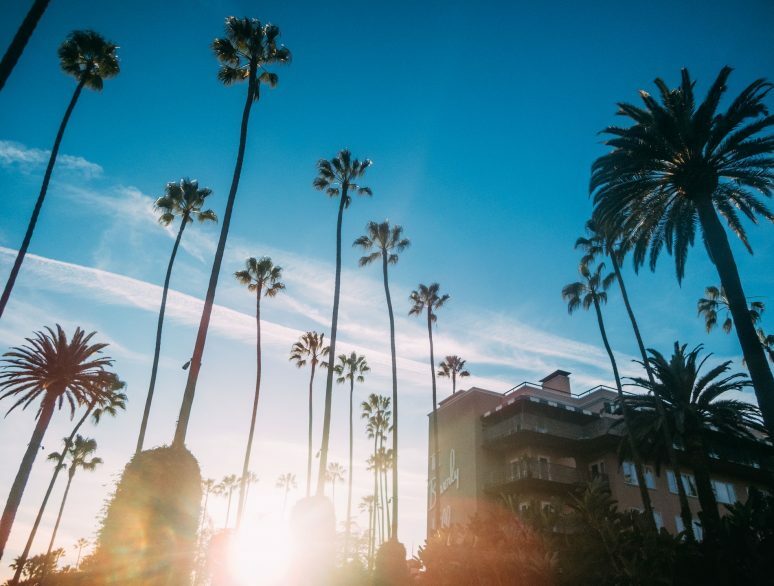 There are plenty of high end and trendy options if you want to stay in Beverly Hills, but none are more famous than the iconic Beverly Hills Hotel. 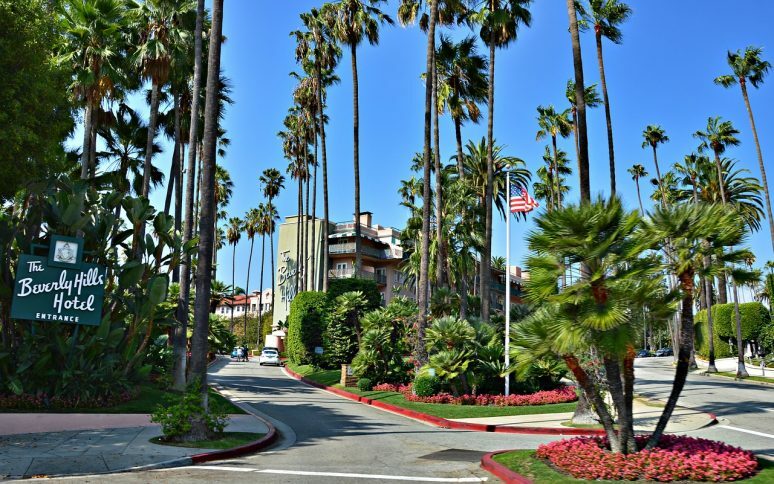 Known as a celebrity hangout, the Beverly Hills Hotel is a classic California experience. Even its wallpaper is famous! Hotel Tip: If staying the night is too rich for your blood, you can also get lunch in the hotel (but be prepared for Beverly Hills prices!). Pay a visit to some adorable furry friends at The Dog Cafe, which is the only dog cafe in the United States. 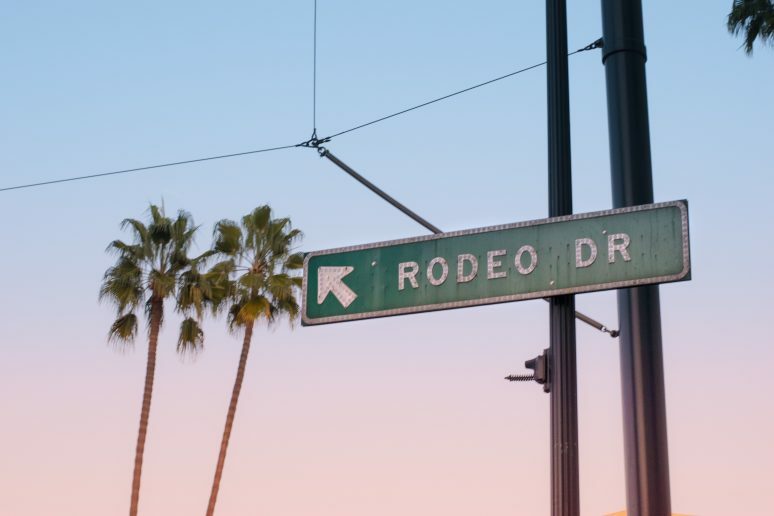 While this particular place is not technically in West Hollywood or Beverly Hills, it is only about 5 to 10 minutes away and is an absolute must! I am a serious dog lover, and when I entered The Dog Cafe, I was immediately transported into a doggy wonderland! What do you do at The Dog Cafe? Grab a drink and snuggle with the pups! How awesome is that?! And if you fall in love with a little ball of fur, you can adopt them! All dogs at The Dog Cafe are looking for loving homes. Not looking to adopt? Rest assured that the proceeds from The Dog Cafe go to all the love and care of the dogs that live there. Tip: You must make advanced reservations in order to visit The Dog Cafe. In order to create a flawless girls getaway weekend, there needs to be a decent amount of planning done. A large obstacle when travelling, at times, is the amount of planning required. It can be a daunting challenge to figure out where to start the planning process. Here are a few tips that will hopefully help your girls weekend go off without a hitch! West Hollywood and Beverly Hills are fabulous places to walk around in, and most of my transportation was via walking. I absolutely walked multiple miles during my time there. Make sure to wear comfortable shoes and map out where you want to walk. ALWAYS make sure you are walking in safe areas, and if you have to walk at night, do so in a populated area. Download all necessary phone apps before arriving in West Hollywood and Beverly Hills. Doing this will save time and will draw less attention to you. Nothing screams tourist more than gawking at your phone with a perplexed look on your face while trying to download and understand a new app. Make reservations for everything you possibly can. 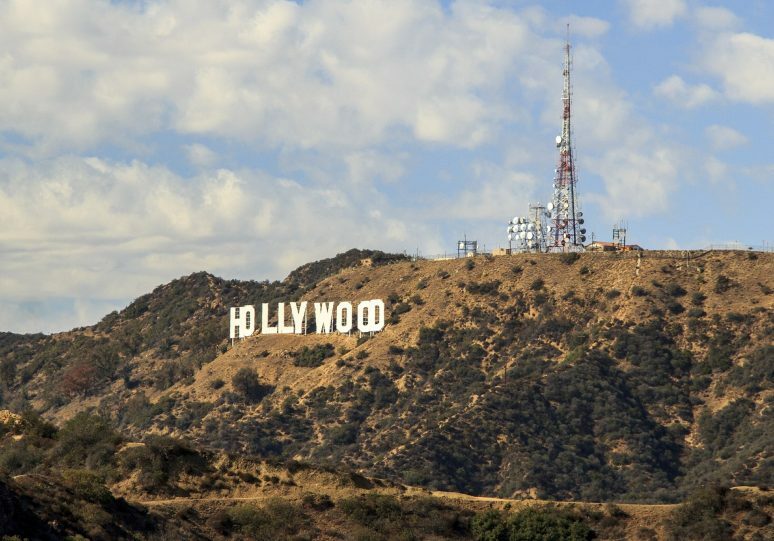 West Hollywood and Beverly Hills are some pretty hot spots on the social scene. I made reservations for all my lodging, dining and activities months in advance. There is nothing worse than waiting too long to make reservations, and not being able to partake in something you had your heart set on. 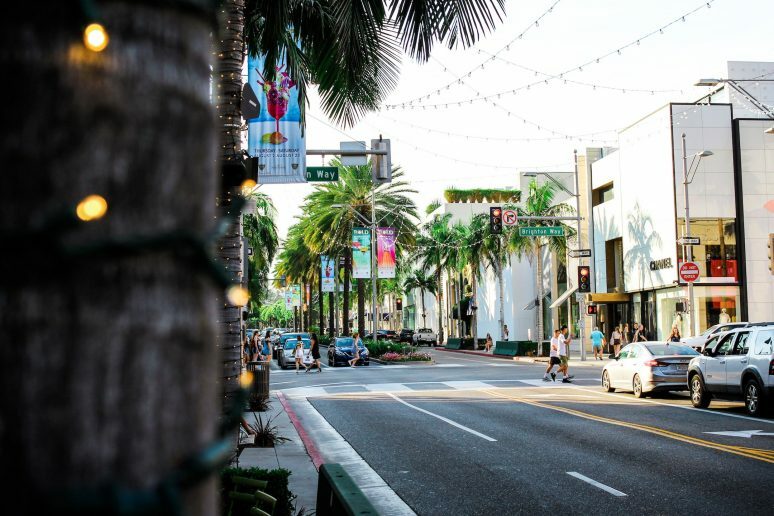 We hope that this article has given you some tips for a girls getaway to West Hollywood and Beverly Hills. If you have any questions about the destination or have your own travel tips to share please leave these in the comments below. Hi Candice! Thanks for your thoughts. 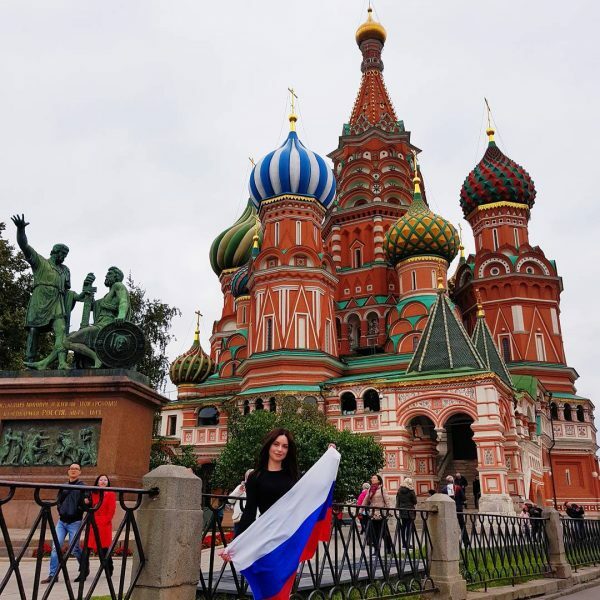 We would love for you to submit an article at wearetravelgirls.com/contribute if you have additional tips you would like to share with our readers. Thank you for also pointing out the note about the scooters- we have updated the article. Thanks for being part of our community! Thank you so much for your informative post on my blog! 🙂 To address a few things you mentioned… 1. Sadly, my flight got delayed on the way out there, and I was not able to keep my Catch LA reservation. 🙁 I was so sad because the restaurant looked gorgeous and the food looked delicious! Next time! 2. Thank you for your recommendations with the good views!!! I was only there for a short weekend, so I wasn’t able to take in everything that West Hollywood and Beverly Hills had to offer… so, I took in all my rooftop views at Petit Ermitage. But next time I’ll have to check out your recommendations!! 3. And so odd about the Lime scooters!! I was literally riding around for hours, passed multiple law enforcement agents and never even got a warning or anything! They were actually so kind and always smiled and waved at me. 🙂 And Lime scooter never gave me any warnings that Beverly Hills was banned, as you said. But thank you for that information, as I will follow up with Lime about this. 4. And as I previously said, I was only in this beautiful area for a short weekend… so, sadly wasn’t able to take in everything! But when I am here next, I will for sure look into what the LGBTQ area has to offer! Thank you again for such an informative reply to my post. Happy travels! Aw, thank you so much!!! And yes!! The Dog Cafe was seriously so precious!! Please do check it out! As always, thank you so much for reading and commenting!